Join us in British Columbia for the last two months of the award-winning Together exhibition’s tour! For the past three years, Together: An exhibition on global development has travelled across the country, sparking discussions on how Canadians are driving a more peaceful, prosperous, and pluralist world. 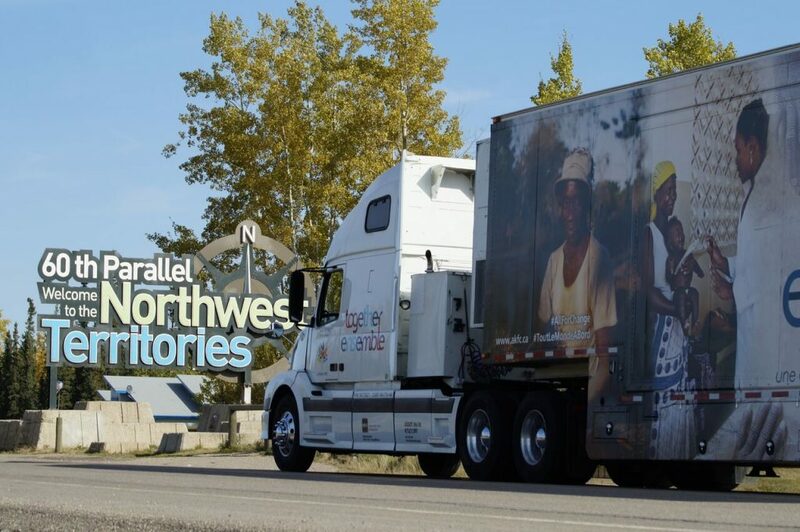 Visitors from across the country have explored the custom-built truck with 1,000 square feet of interactive exhibition space, learning about how Canadians, like you, are driving positive change around the world. If you have not seen it yet, this is your last chance! The exhibition includes powerful photography, unique objects, a global citizen quiz, an interactive world map, and opportunities for visitors to share their ideas. Bring your friends and family! The exhibition is a free, interactive, accessible, bilingual experience for all ages. Click here to see the schedule.